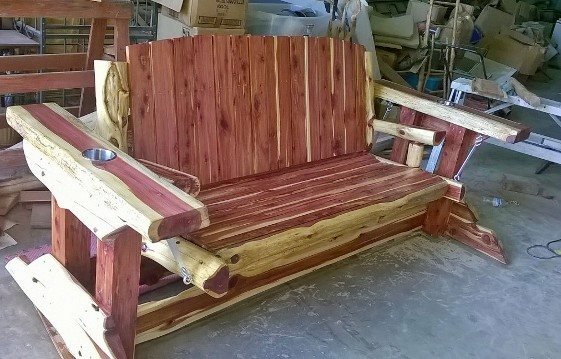 This is our 3 seater the “Mammoth” which has a 65 inch seating area. 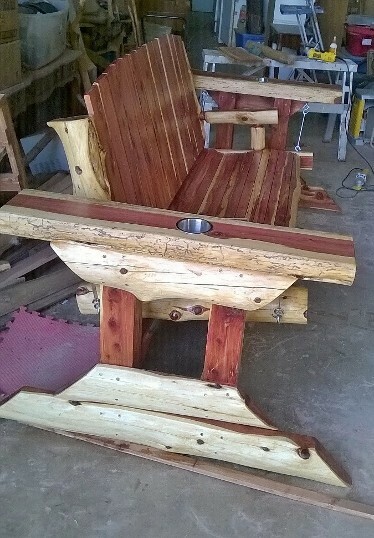 We also have the “Baby Mammoth” which is a 2 seater version and has a 48 inch seating area. 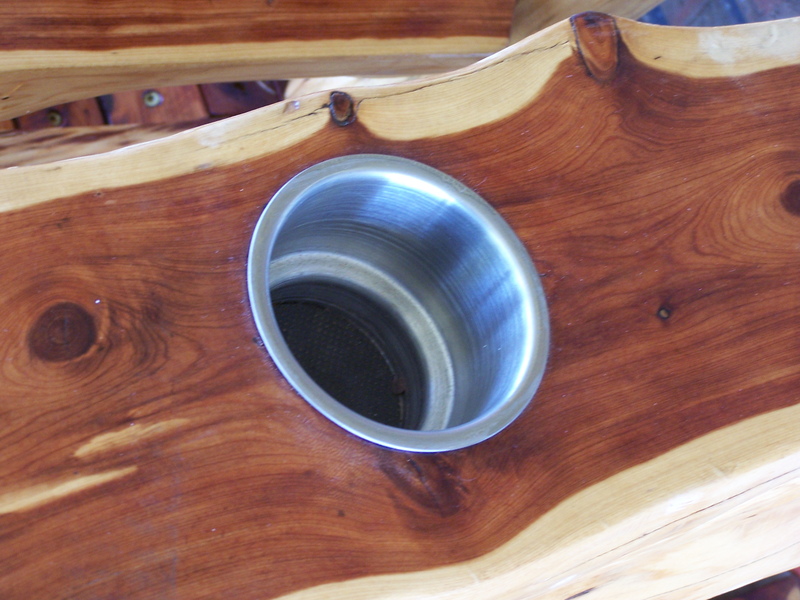 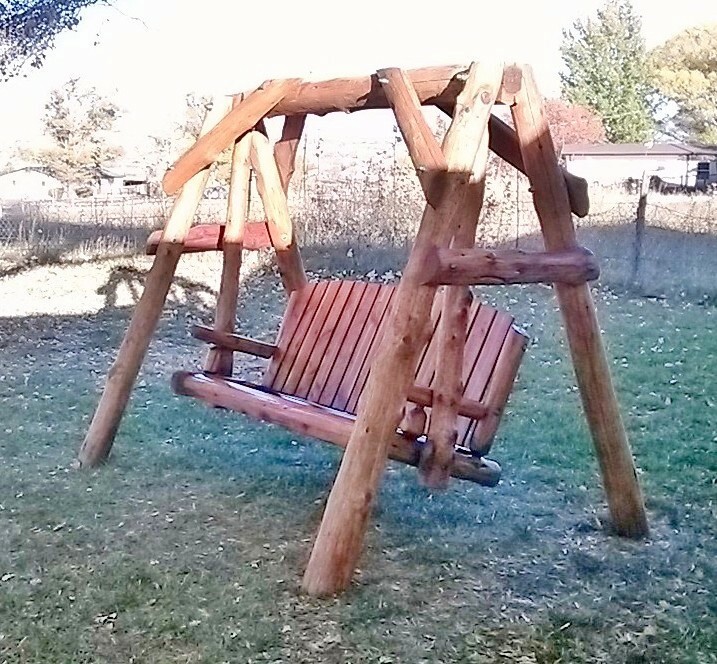 The A-Frame is held together with 3/4″ bolts and the entire swing is built with extra heavy duty hardware. 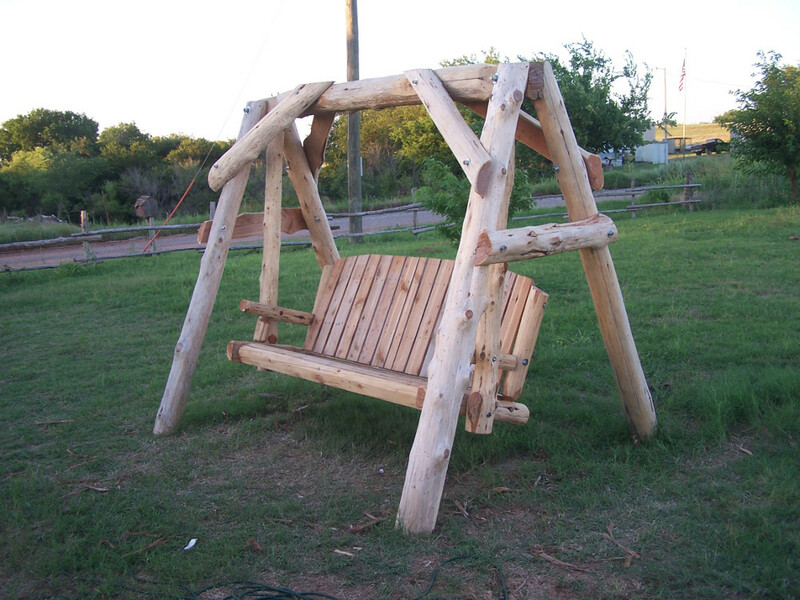 The weight varies on each swing as no two logs are identical but it is estimated to be 400 lbs. 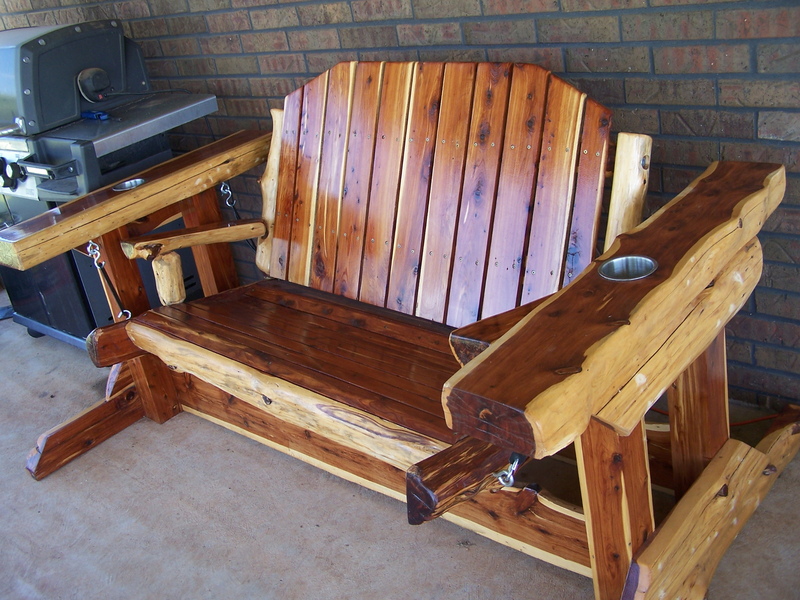 If a strong wind blows this one over – you’d better be in a storm shelter. 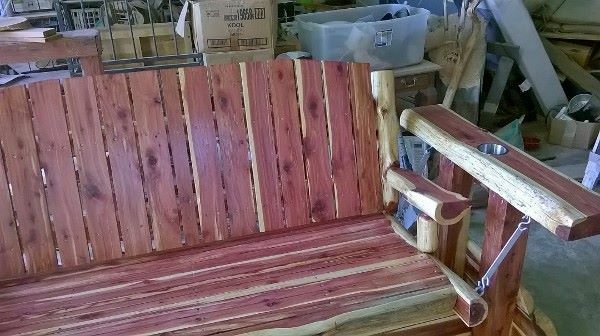 Give us a call or text 405-638-8657. 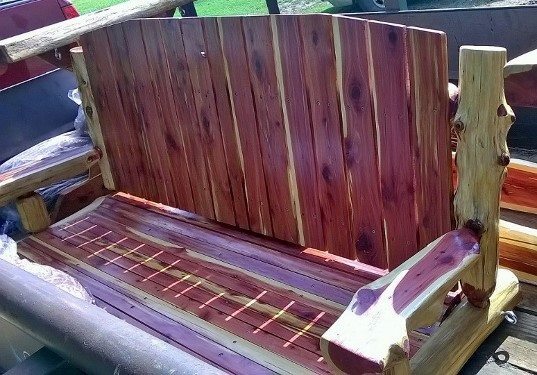 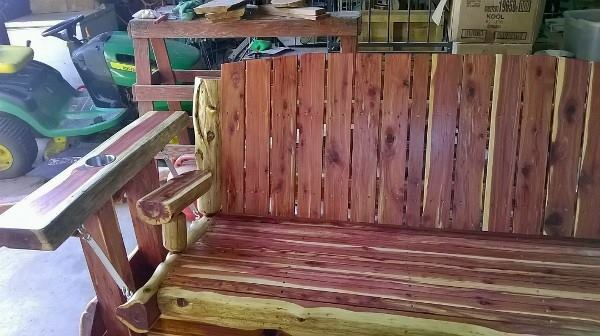 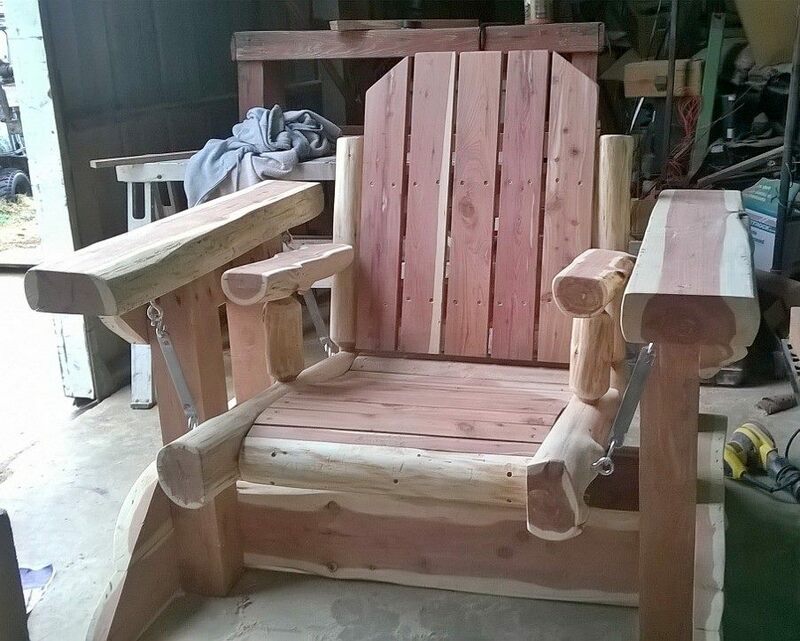 Below is our newest addition our 48″ and 65″ Mammoth Cedar Glider complete with drink holders.